The geometry is uploaded on to the SimScale platform and meshed using the snappyHexMesh tool. This project could be imported from the library upon request. The geometry is constructed based on the reference case , as shown in Fig.1. 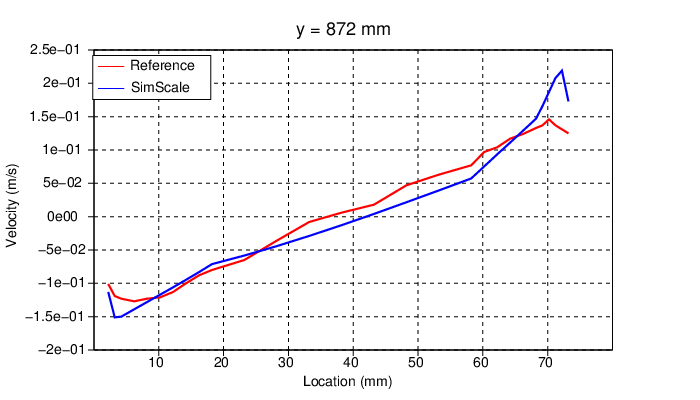 Its dimensions are \(2.18\ m \times 0.076\ m \times 0.52\ m\), and the face details have been given in Table 1. 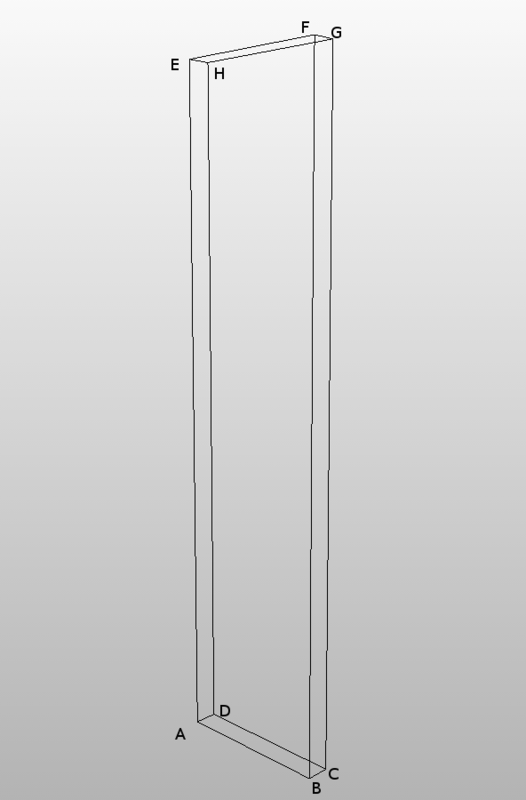 The snappyHexMesh tool was used to generate a uniform mesh (see Fig.2. and Table 2.). A typical property of the generated mesh is the \(y^+\) (“y-plus”) value, which is defined as the non-dimensionalized distance to the wall; it is given by \(y^+ = u^*y/\nu\). 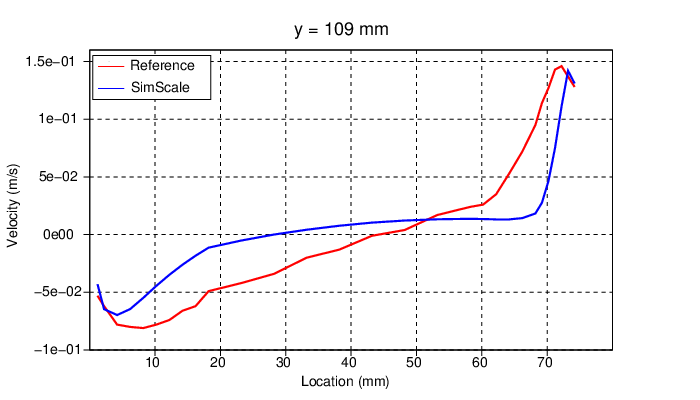 A \(y^+\) value of 1 would correspond to the upper limit of the laminar sub-layer. Explicit resolution of the near-wall region: The first cell lies at most at the boundary of the laminar sub-layer and no further. Here, \(y^+\) value is 1 or below. Use of wall-functions to resolve the near-wall region: There is no need to place cells very close to the laminar sub-layer, and typically \(30 \leqslant y^+ \leqslant 300\). A \(y^+\) value of 30 was used for the inflation layer. 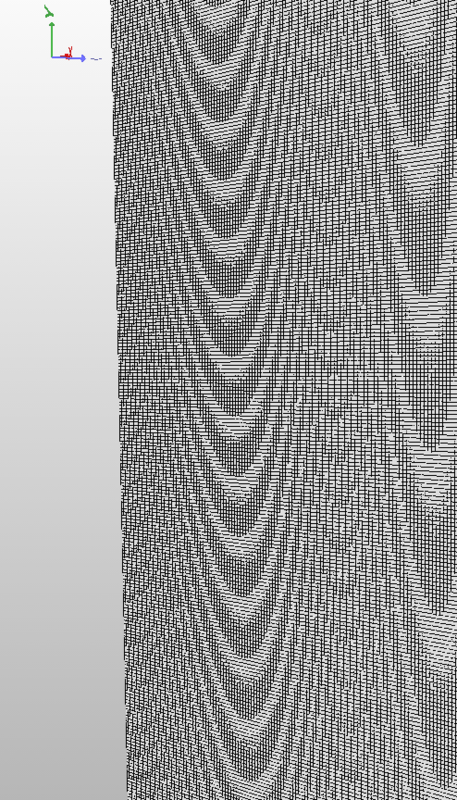 The \(k-\omega\) SST turbulence model was chosen, with wall functions for near-wall treatment of the flow. Table 3 encapsulates the properties of fluids used in the subsonic and supersonic case simulations. The boundary conditions for the simulation are shown in Table 4. Note: FFP stands for Fixed Flux Pressure. 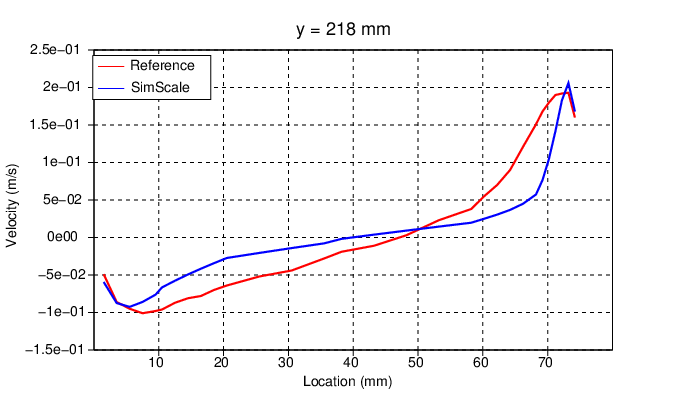 Shown below are comparisons of velocity profile between the two plates from SimScale simulation results with the reference  at different heights. The reference lines are located at the mid-plane normal to the z-direction. 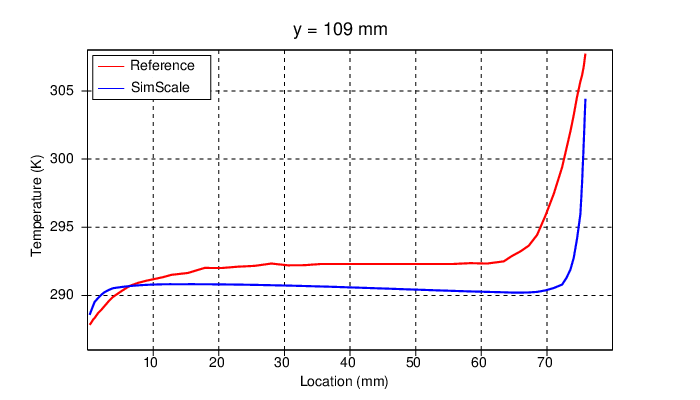 Shown below is the comparison of the temperature profile between the two plates from SimScale simulation results with the reference  at a height of \(109\ mm\). The reference line is located at the mid-plane normal to the z-direction. (1, 2, 3, 4) Betts, P.L. & Bokhari, I.H., 2000, Experiments on turbulent natural convection in an enclosed tall cavity. Int. J. Heat & Fluid Flow, Vol 21, pp 675-683.